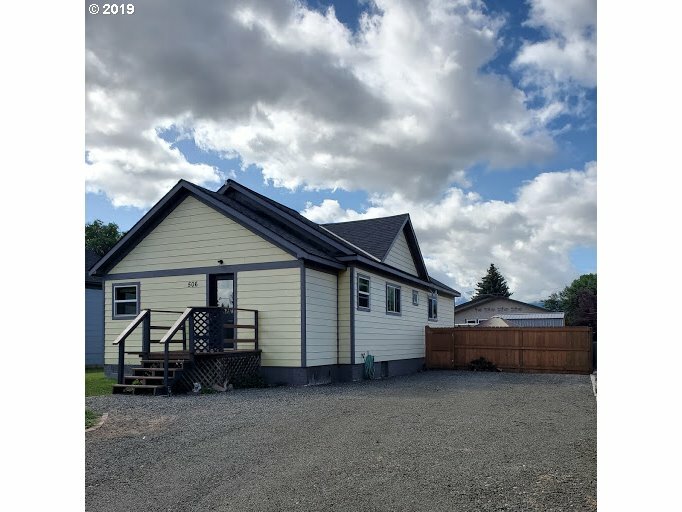 All Enterprise homes currently listed for sale in Enterprise as of 04/20/2019 are shown below. You can change the search criteria at any time by pressing the 'Change Search' button below. 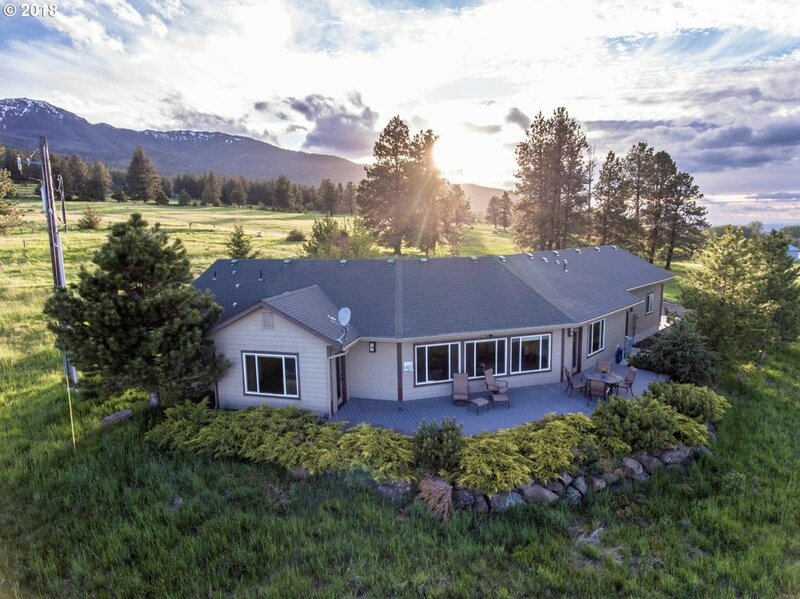 "This 6652 sq.ft lodge-style residence on 19.55 acres offers expansive Wallowa Mountain views, luxurious finish work and a flowing, open floor plan. Four bedroom-suites and 5.5 bathrooms. Granite counters, 5 fireplaces, den, bar, wine, media & laundry room, built-in sound system, outdoor fire pit & kitchen, 1209 sq.ft three car garage. Geothermal HVAC & Energy Star appliances. Water rights. Historic barn. Additional 57 acres available." "Amazing 360 mountain views from this beautiful home on 59 acres on Alder Slope outside Enterprise. High quality construction with beautiful open kitchen w/hickory cabinets and Corian counter, dining and living room with peeled walnut floors and commercial grade carpets. Bathrooms have gorgeous tile work, slate floors and jetted tub. Office and utility room. RV pad. 660 sq.ft garage. Water rights. $4,500 annual income from pasture lease." "This unique 149+ Acre off grid property has it ALL! Remote but accessible, borders USFS. Native stone house is completely self-sustaining with a great well, solar system with 2 generators, 2 wood stoves and propane back-up heat. 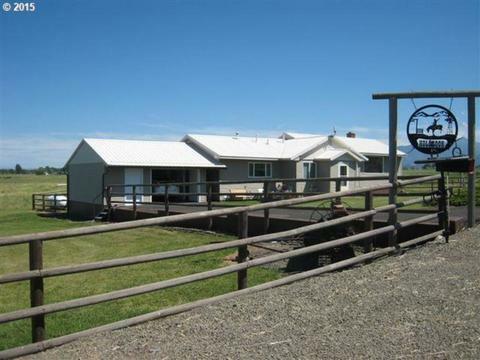 Property has many amenities, shop, barn with electric and water, corrals and run in, new wood shed with ATV and equip storage, garden and greenhouse. Enjoy your security with lots of wild life and a elk LOP tag." "1st time on market in nearly 100 years. Lease to graze or ranch/farm it. Exceptional pride of ownership. Large new pole barn that has conditioned tack room plus 3 bays. Newer domestic, high capacity, well. Newer Septic System. New pump house. Large list of house improvements too." "Wonderfully remodeled home with lots of room inside and out. Beautiful timbered property that backs up to more timbered acreages. Lower level has had recent remodel with beautiful finishes including rock work propane fireplace, wood entertainment center and large bar with kitchen area. Wonderfully maintained home and property with attached garage plus detached 1200 sf garage shop. Fenced garden space and lots of wildlife to enjoy." 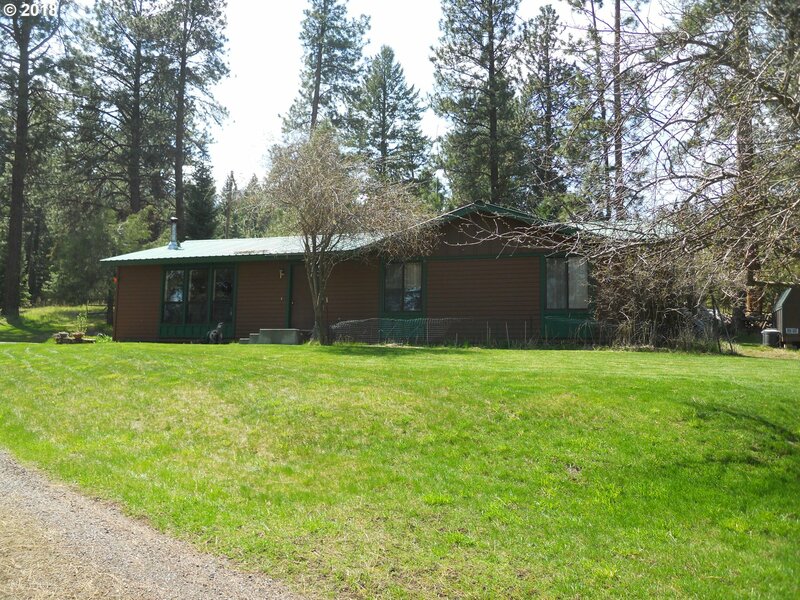 "Remodeled and move in ready 3 bedroom 2 bath home on 5 acres along the Wallowa River. Spacious 2200 square feet with a 1100 sq ft partial basement that could be finished. New geothermal furnace. Livestock water system for the pasture. Oversized 2 car finished garage." "Well maintained Modular 3BR 2BA home on 10.37 acres with Marketable timber - tree farm. New kitchen flooring. 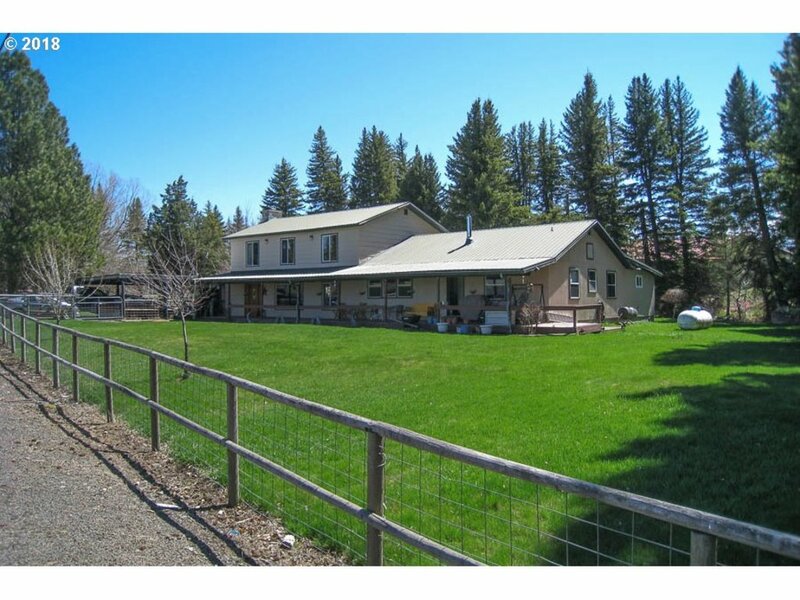 Great views of both the Valley and Mountains.2 car garage with shop area, and large lean-to off the side. Property has two carports and 3 storage sheds." "Spacious home with an amazing amount of room for your family or in home care of family members. Master bedroom is almost an apartment. Recent remodeling completed and more to be finished prior to sale.Stream meanders through the yard.The back yard is stunning and well shaded with mature trees. Garage, carport and extra parking pad. All new windows,new flooring, beautiful kitchen with nook.3 bedrooms on main level. 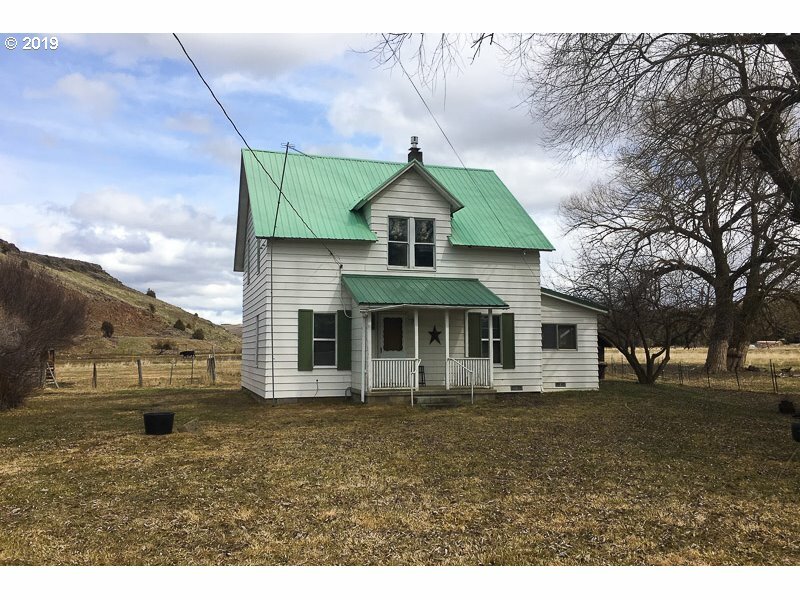 Mature fruit trees"
"5 bedroom, 1 bath farmhouse on 10 acres. Home has fir wood floors throughout and a new propane fireplace. There are two spacious garages that could be used as shops. Fenced pasture for animals and approx. 3-4 acres are irrigated. Trout Creek frontage and some mountain views." "Move in ready. Fish the Grande Ronde, Hunt the Wenaha and enjoy all that nature has to offer. 4 bedroom, 2 bath home. Everything included. Quiet private setting. New pine interiors and many home up grades. Great well with 2500 gal storage tank. Smoke house, game hoist." "Quality craftsmanship abounds with a beautiful home, apartment, studio, garage, covered parking and incredible landscaping. Located in the small town of Troy and within a short distance of the Grande Ronde and Wenaha Rivers or the Troy Cafe. Too many high end features to list. Please see attached Word Tour for more!" "Very special 2 bedroom 2 bath totally remodeled home. State of the art kitchen, huge walk in pantry, fenced back yard with greenhouse and chicken coop. Mountain views and fire pit. Amenities galore. Possible room for a 3rd bedroom in basement with county approval."